Puma has a talent of teasing the public with a little camo before every release. It seems as if every other one of their new boot releases features a camouflage colorway teaser before the true unveiling. The most recent teaser that has hit the market is the Puma King II Camo which is actually an exclusive right now on soccer.com! Although the recent King II Camo colorway is quite interesting, it was the evoPOWER camo that truly caught my eye from a short while back! 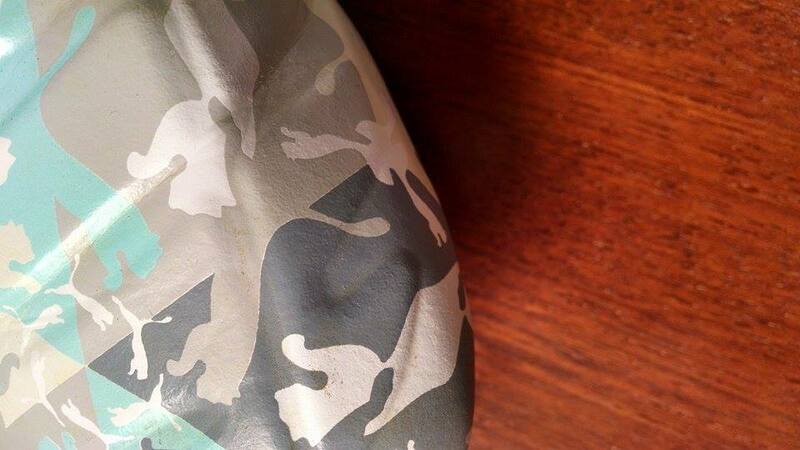 The evoPOWER teaser’s design really kept the public guessing at what technology the new release would feature as the camo disguised many features. In fact, the colorway was so exclusive it was limited to 1000 pairs! Just recently, when I was checking out an EPIC shoebacca deal highlighted by Jim, I spotted what could be the greatest steal deal that I’ve ever seen… the Puma evoPOWER 1 Camo for a mere $48.99. So for a price lower than that of an average takedown model, I was able to snag a high-end snazzy pair of Pumas! Although the evoPOWER deal has passed, there are still sweet deals on other Puma models on shoebacca.com! The camo colorway used on the evoPOWER is like no other. It features a mix of white, a light teal shade, and different grays that range from light to dark that are blended throughout the boot. They are actually quite hard to describe and the pictures are a much better representation, but they basically have different colored triangles throughout that all have little Puma designs over them. So while Puma may have tried to keep the features of the new release away from the public, they weren’t shy of putting an uncountable number of the big cat logos mixed throughout the boot. In fact, if you don’t count the soleplate and lining, that same design stretches the length of the boot. In person, these boots are guaranteed to put you on the radar of other players (I guess the camo really doesn’t do its job) because the design is so unconventional. In fact, during my first practice, my very boots caught the eye of the whole team. My first game with them also caught a few glances from the opposing team as well. So if you’re one of the person that wants to stand out, I would actually say that these do the job better than any neon color would! Also, I’d like to give a shoutout to Puma for giving us a sweet box to go with the boots. Currently available, make sure to check out the King II Camo here! As far as the performance of these, I have nothing but praise for this power boot. They are quite comfortable and striking the boot is a true experience. The padded Accufoam inserts really help give you better control over your strikes and the boot is also very stable when planting the foot, which really helps when you’re trying to line up a deadly strike. And also as a defender, I have to say the inserts really helped protect your foot from hard tackles. Bryan actually reviewed these boots when they were first released, so his full in-depth review will give you a much better idea of how these perform, so be sure to check it out! If you’re wondering, he also found the evoPOWER to be a high performing release. If you’re looking to find your own pair of evoPOWERs, soccer.com is a great place to look, even though they may not boast the same price that shoebacca offered. 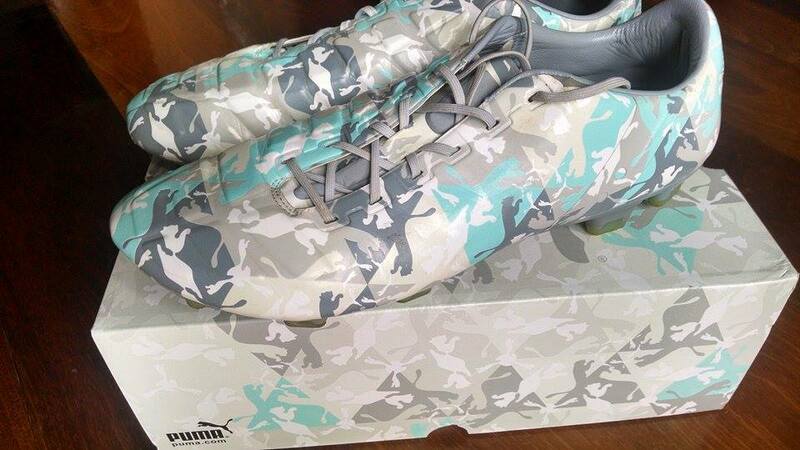 What are your thoughts on the Camo evoPOWER? Let us know in the comments below! Bought it couple weeks ago!